Mud Run Guide is proud to announce a new series, Trainer Tuesday. Each Tuesday we bring you training trips from some of the top OCR Trainers in the industry. We have teamed up this week with Yancy Camp to bring you insight from one of the top trainers in the industry. 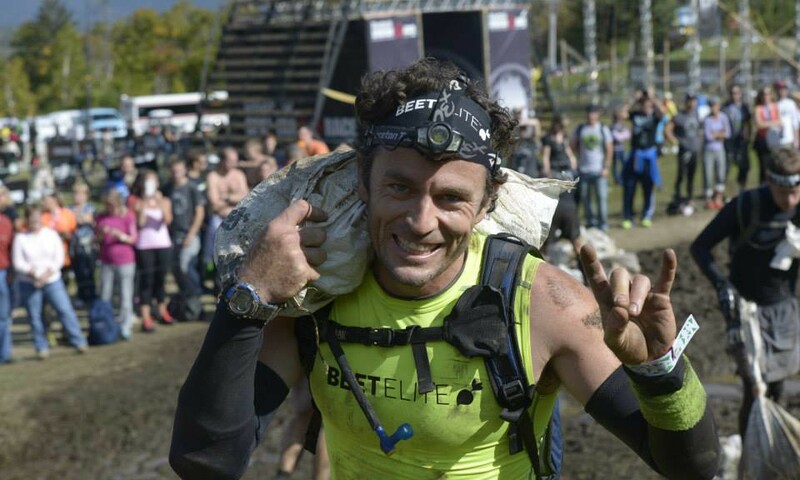 Yancy Culp shares his tips this week about how to plan and build your OCR season. All sports typically have a period of time that’s considered a season, and once the season is over, you have a training plan that prepares you for the next season. Let’s take Track & Field, swimming, cycling, and Cross Country for example. The goal is to build into the season and eventually peak for a key race or a period that may contain several key races. This can be accomplished in OCR as well. I’ll use myself as an example. After my last race in 2015, I rolled into an aerobic running base building training phase where the majority of my running was geared toward increasing my base. During this phase that I’m still in, I’ve done very little high tempo and typical track workouts. My aerobic base pace time on feet has increased, and I’m prepping myself for the eventual period where I’ll start to sharpen up my speed and speed endurance. Continuing to improve your aerobic base can happen for many years and with proper maintenance throughout the year, every year when you roll into another base building phase, you can continue improving it over time, but it doesn’t happen overnight. Speed and speed endurance, on the other hand, can be sharpened rather quickly and even quicker when you have a strong base. Let’s look at a 400m x 10 w/60sec recovery workout in 2015 vs. the same session in 2016. There’s some gray area here but let’s just say you had a more focused base building phase from December 2015 – April 2016 than you did the previous period a year prior. After the first couple reps, when your times would start to fall off, you find that you’re now able to maintain your desired pace throughout all ten reps, and you find yourself recovering more efficiently during your 60sec break and never have to cheat the recovery to maintain your pace. This would be a tempo endurance example, and the same will hold true during a speed endurance example where you ran the 400m reps faster and increased your rest period. You might say, “how could this be, I didn’t do much speed work during my aerobic base building phase. Without going into details, there are so many cool things that happen in the body when you find that aerobic base building HR zone when running and spend plenty of quality time there. The best runners in the world at all distances all take the time to work on their aerobic base. Even world class 100, 200m, & 400m runners/coaches know the importance. If Usain Bolt can run 20 quality repeats with good form during his workout while his competition is only able to do 15, he’s creating separation. In this case, something like his ability to recover faster between the reps has improved because of his focus on aerobic base running. Obviously, in OCR, we have to focus on maintaining obstacle specific strength/power and strength/power endurance to go along with our running ability but this to can be involved in the different cycles throughout the year. 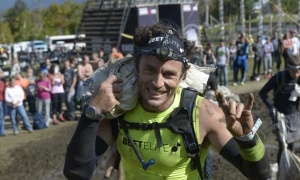 Every aspect of competing in an obstacle course race will be improved though if you take the time to allow your body to shift into a strong aerobic base building phase at certain times throughout the year and then do what you need to do to maintain as you start to sharpen up for a key period during your year of racing. For some, you are just out there to have fun, and you race year round. For others, you need to be at your best certain times of the year and when this is the case, working through cycles can help. For Yancy Camp members, for example, we’ve been doing a lot of aerobic training zone pace running because it’s not a big time of year for the athletes on the roster you have the opportunity to team with. I make sure I mix things up and create unique and fresh sessions, so it rarely feels like you’re out there just running (a huge benefit that makes OCR training more fun than other traditional running sports. Many of the sessions have lots of fun (well, maybe love/hate relationship kind of fun) obstacle specific strength training worked in but there hasn’t been a lot of fast running in this cycle. It’s coming, though! There is no perfect science but if you’re interested in possibly improving your OCR game, check us out at YancyCamp.com and see if there’s an OCR athlete on our roster you’d like to partner with. You can also check out our new Acceleration/Speed/Power Program as well. Get Started With Yancy Camp today!